Roboworm is an automated high-content imaging platform enabling the repositioning of existing drugs or the identification of new compounds as next-generation anthelmintics (compounds that kill parasitic worms). The platform has a projected capacity of 100,000 tests per annum and comprises an integrated tissue culture facility, automated compound distribution/washing workstation and high content image analysis system coupled to customised software for segregating drug-induced schistosome phenotypes. This unique system draws together the very latest advancements in instrumentation and dramatically transforms the speed in which new anti-schistosomals can be identified. 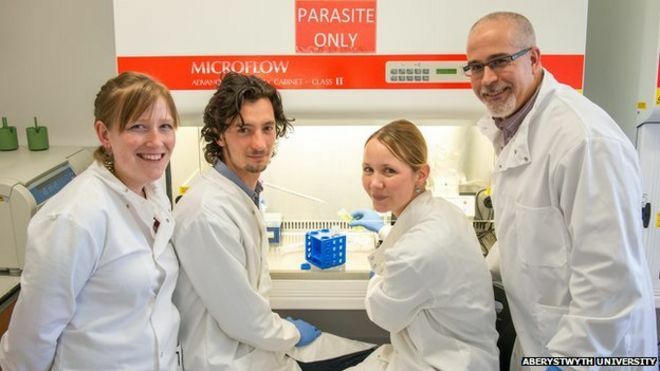 Aberystwyth University is opening up a new era of collaborative, interdisciplinary research in the fight against neglected tropical diseases of global importance. Please contact Prof. Karl Hoffmann (krh@aber.ac.uk) if interested in using this facility.